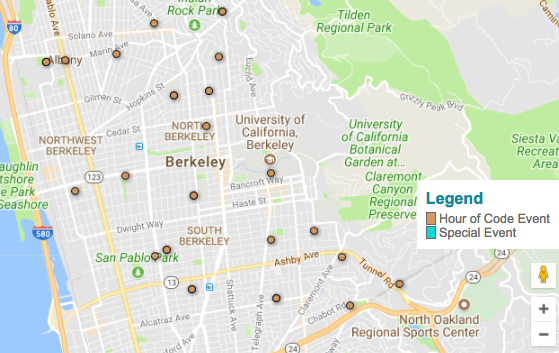 This DigiTechTeach blog is a testament to the many powerful ways technology is boosting students’ learning in Berkeley. 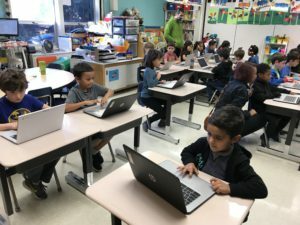 Although the Chromebook carts primarily live in third through fifth grade classrooms at the elementary level, second grade students are being introduced to technology and building foundational tech skills. Some second grade classes are even buddying up with fourth and fifth graders. Caroline Brooks who teaches second grade at John Muir Elementary and serves as the site’s Tech Teacher Leader put together a master schedule for John Muir staff listing when Chromebook carts are usually used by the grades 3-5 teachers. Now John Muir’s K-2 teachers know when the carts are available and can implement tech-infused activities. Caroline also put together a presentation for teachers filled with helpful links for getting started. Her 2nd graders now have “tech buddies” in Alessia Cook’s 5th grade class. Alessia’s students visit Caroline’s classroom for a half hour every two weeks. 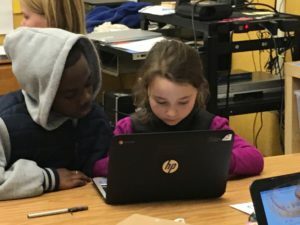 The peer mentors have taught the younger students how to log into their Chromebooks and introduced them to Typing Club, a self-paced typing program consisting of typing lessons, games, videos, and tests. 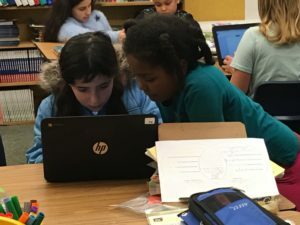 The fifth graders are stepping up as teachers, the second graders are learning how to navigate computers, and friendships are forming. Susan Gatt’s fourth grade students at Rosa Parks have second grade reading buddies that sometimes collaborate on special projects. Just recently her students introduced the 2nd graders to Tynker, a self-paced coding program which students can use to animate their own scenes and characters, solve puzzles, and play games using block coding. All 3rd – 5th grade students have Typing Club accounts and all elementary students have access to Tynker. Students access these subscriptions using the big blue Clever button on the library webpage and logging in with their students.berkeley.net account. Please reach out to one of us on DigiTech if you’d like to learn more. Formative assessment is such a valuable part of teachers’ pedagogy. Knowing what students know and what misconceptions they have and adjusting your teaching to take this into account is so powerful. However, having efficient systems to do this for your entire class (or for more than 150 students if you are a middle or high school teacher) and regularly communicating this information to families is an ongoing challenge. 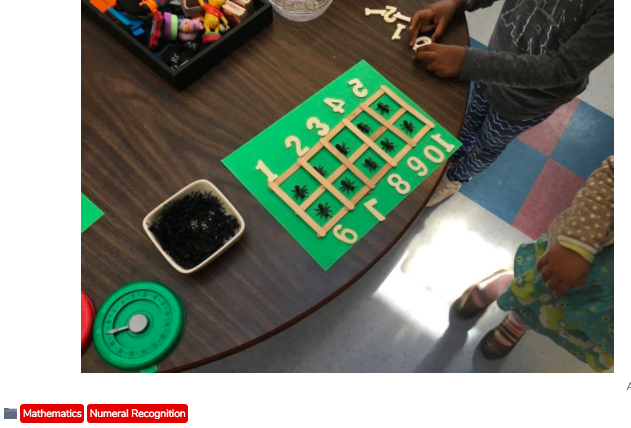 Inji El Ghannam, Transitional Kindergarten teacher at King Child Development Center, regularly lets families know how students are doing using Seesaw, an online portfolio app. In the beginning of the year, she creates a list of standards-based skills which her students are expected to know by the end of the year. 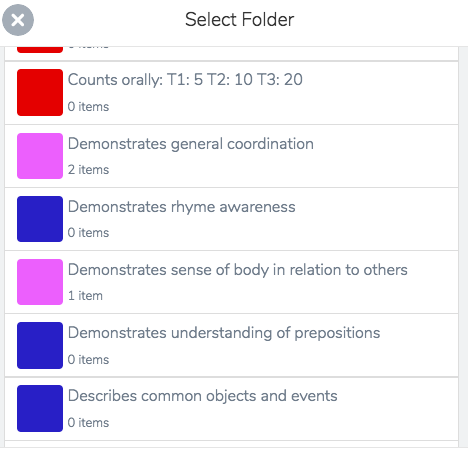 These each become a folder in Seesaw where she can tag photos and short videos of students documenting their progress. 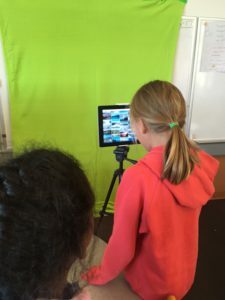 Then, throughout the week, Inji uses her classroom iPad to photograph or take very brief videos of students when they are demonstrating a skill that she is teaching on that week. After class, she tags the photo with the skill being demonstrated such as this one on holding a crayon/pencil correctly. She then shares the photo to that student’s portfolio which means that their family is automatically notified via a text or email. Only that individual student’s family is notified and families have the option of inviting other family members to join if they want them to receive the portfolio. 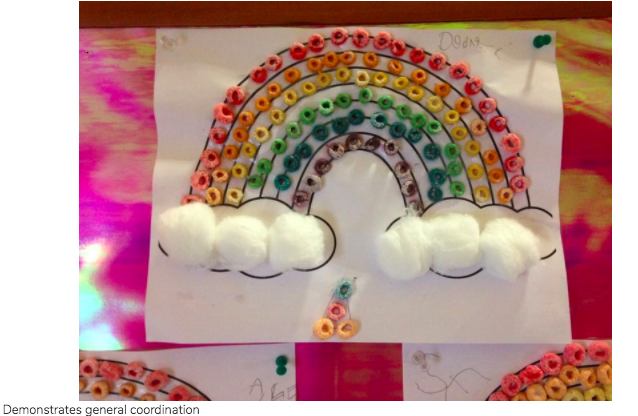 Similar to social media accounts, families can leave a fun comment for their child to see. Some even write quick notes to Inji and she can respond right there. Although this is a private communication platform, it looks and feels similar to social media so its quite easy for families to learn to use it and easily accessible from a phone. What I especially love about Inji’s use of Seesaw for Formative Assessment is how strategic she is to ensure that she focuses on documenting no more than 3 skills a week and that she has the opportunity to observe and meet with every student. She uses this observation sheet to organize her data. 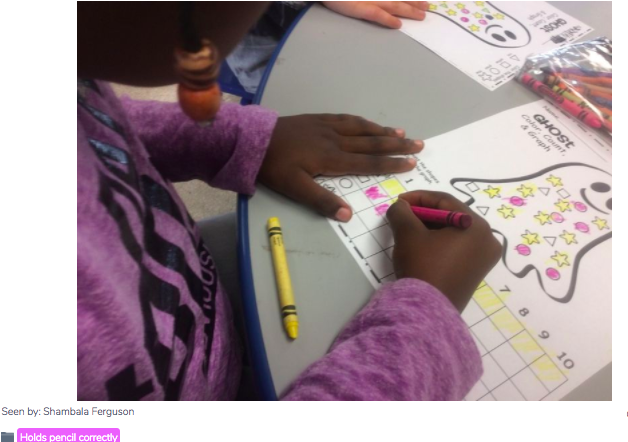 Here are a few more delightful examples of the work her TK students are doing, including number recognition, using scissors effectively, and demonstrating general coordination. Seesaw is a free app which is available for both Android and Apple devices. 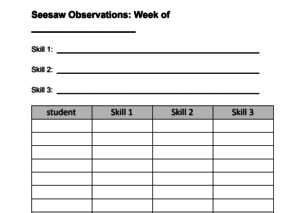 It can be used by teachers of all grade levels to document their students’ progress and share out with families. As always you can contact any member of the DigiTech team for classroom support in getting started. 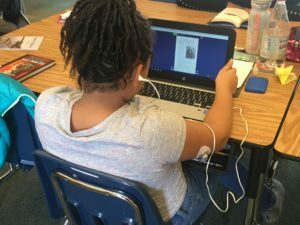 Elementary, middle, and high school students across the district now have access to tools that can assist the reading and writing process on the computer when necessary. One such tool is Google Read & Write. It is a Chrome extension (a program that is added to a Google account which adds features on the Internet). 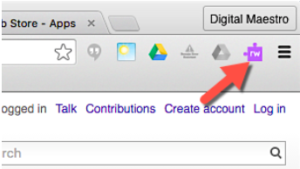 Google Read & Write for Chrome reads any website aloud and includes additional capabilities when students need the help. 150 students are piloting Google Read & Write and teachers and students alike are praising the tool. One 4th grade student at Cragmont likes using the word prediction tool when she’s writing in Google Docs. Google Read & Write offers the writer a list of possible words as you type. She shared, “It’s good when you hear the word. It can read it back to you to make sure you pick the right one.” She also noted that she sometimes uses the highlighting tools to highlight important words. Another student in the class uses the read aloud feature in Google Docs. “I’ve been using it to correct what I write,” he said. Theresa Hove at John Muir Elementary works with a number of fifth graders using Google Read & Write in the classroom and afterschool. She reported that this tool is helping students access the curriculum and feel more a part of the group. She noted that students have mastered the use of the tool and are using it without prompting. 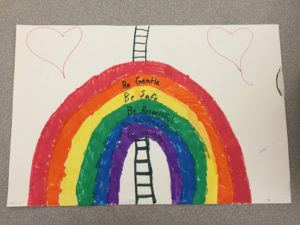 “When a student sees a red line indicating a misspelled word, the student fixates on it. 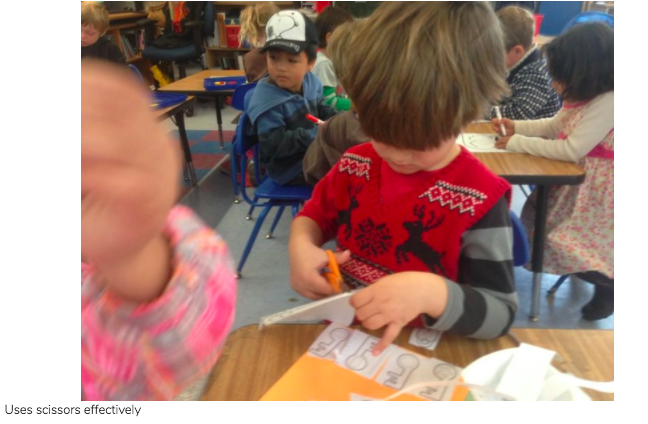 This distracts them from getting their ideas on the page,” she shared. Google Read & Write is helping students capture their ideas. If you would like to learn more about Google Read & Write, check out this guide. Note that a premium version is free for all educators who register. Click here to register for a free premium educator account. 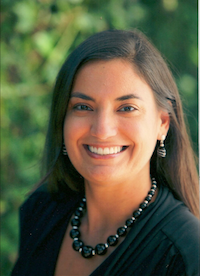 This week’s blog post is by guest blogger Mary Ann Scheuer, BUSD Teacher-Librarian. It’s no secret that many teens love social media. They want to know what their friends are doing, liking and sharing. 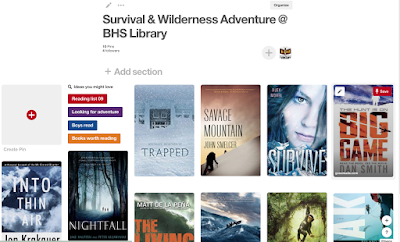 At Berkeley High, we’ve been using Goodreads & Pinterest to engage our readers, encouraging them to find more books to read. Goodreads is a social media site for readers, letting you mark books you’ve read or want to read, add reviews and share them with friends. While reading might be something you do alone in your own head, its true power comes from sharing the experience. What do our friends think of this? Have they read it, or does it remind them of something like it? If I liked this book, is there another one that I might like reading? Key to this process is valuing all of the books our students are reading. 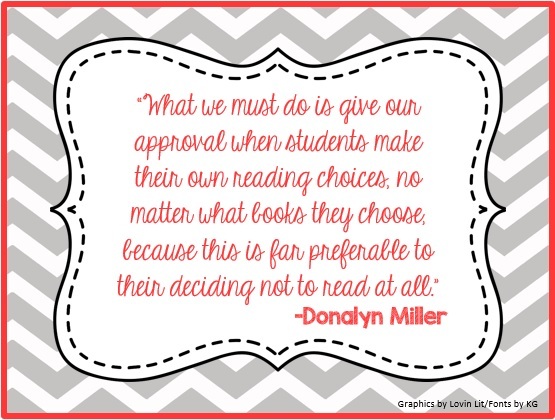 The masterful teacher Donalyn Miller writes passionately about how we must value and encourage our students’ choices in what they read. Using Goodreads has let us honor and value our students’ reading choices, whether they love horror graphic novels like Tokyo Ghoul, powerful nonfiction like The 57 Bus or contemporary YA like Libba Bray’s The Diviners. 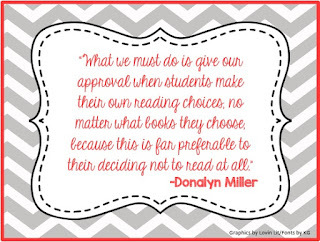 Each reader is different, with different tastes, preferences and interests. I have loved the conversations that come from learning more about what they like. Yesterday, I was talking with a freshman who liked reading Nightfall, by Jake Halpern–an intense action-adventure story that kept him up all night reading. When I read his review, it made me think of how much I had liked reading Gary Paulsen’s Hatchet. So I built a Pinterest board focusing on wilderness adventures. My student said to me, “Wait, you created this just because I liked Nightfall? Just for me?” It was a powerful moment–and he left the library with a new book to read: Trapped, by Michael Northrop. 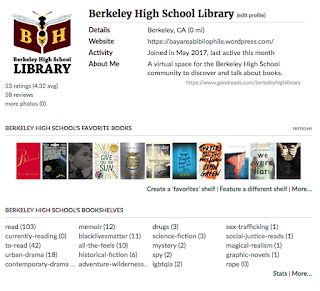 Follow Berkeley High Library on Goodreads & Pinterest to see what our teens are reading and what we love sharing with them. Berkeley students and teachers continue to stretch themselves outside of their comfort zone with technology by trying new tools and learning new skills. 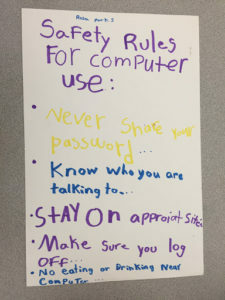 This was once again evident during the days leading up to Winter Break when many classrooms participated in the Hour of Code to commemorate Computer Science Education Week; students were introduced to the fundamental building blocks of computer programming through hour-long coding activities (available on the Hour of Code website). 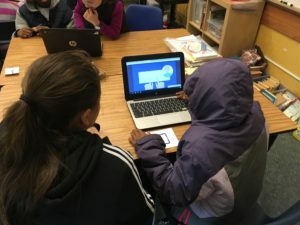 Lots of Berkeley elementary and middle school students joined the over 500 million people worldwide who participated in this 4th annual code.org initiative (“Hour of Code Around the World”). Here is a sampling of participation from across our district. 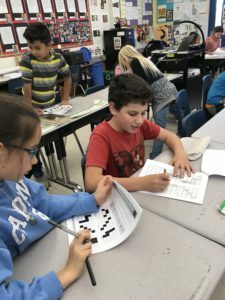 Students in Nancy King’s class at Cragmont completed a whole week of code with many students enjoying the activities so much that they continued them at home. Nancy reported students enjoyed: Lightbot, Pong, Alice in Wonderland, Code Monkey, Google Logo, Flappy Bird, and Hack the Code. Megan Abramson-Ward at Thousand Oaks led a code.org “unplugged” (paper and pencil) activity as well as one online. Shawna Suzuki reported to me that parent volunteers at Emerson have organized Hour of Code schoolwide for the past four years. 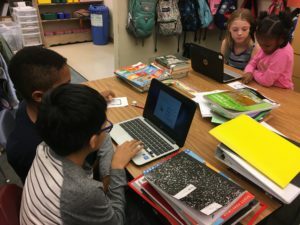 She shared that: “This year was the best ever because of the improved sites, our access to chromebooks, our experience, and amazing parent volunteers.” I watched second graders participate in their second (!!) annual Hour of Code. Last year they programmed Moana. This year a group of parent volunteers led them through the new Minecraft: Hero’s Journey activity. Patricia Coe at Longfellow has done Hour of Code for years in her computer classes. Since they’re already working on computer programming projects, she launched Makey Makey, an electronic invention tool that allows users to connect regular objects to computer programs. Most math classes at Longfellow also participate each year. 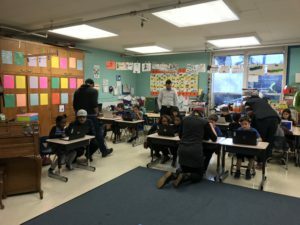 I observed the third annual Lightbot competition on iPads in Crystal Paschel’s class (Lightbot is also available as an Hour of Code activity). Melanie Ford organized Hour of Code resources for students and teachers on the Longfellow Library website. 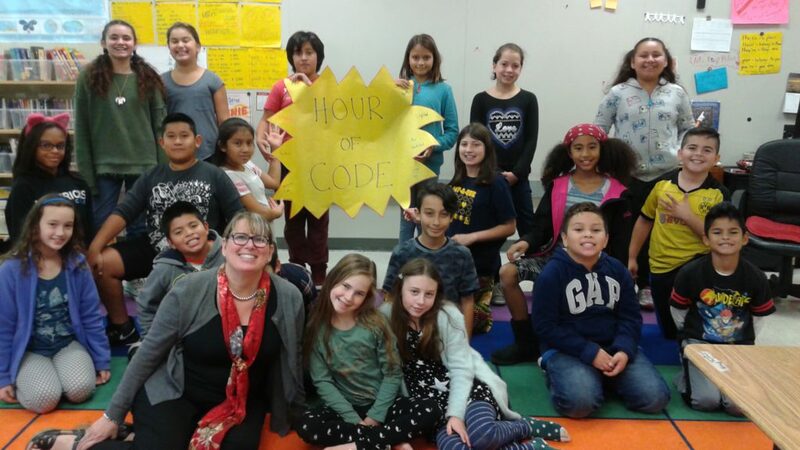 A number of teachers including Alessia Cook and Jessica Mejia-Smith (both at John Muir), Carla Inniss (Oxford), and Steve Conley (King) bravely launched Hour of Code for the first time. The fifth graders at John Muir made animated winter greetings and students in Steve’s classes created their own Google logo. Many teachers dedicated more than one hour to coding as the students enjoyed these activities so much. Even though Computer Science Education Week has passed, the Hour of Code activities are available year round at: https://hourofcode.com/us/learn because it is never too late to take the leap and start coding! 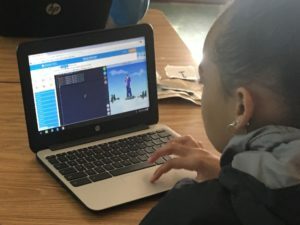 The Hour of Code is often the first time our students and teachers experience computer programming (but hopefully not the last!). 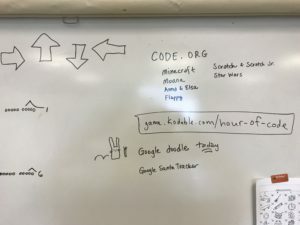 After observing and leading a number of Hour of Code activities, I realized students who are coding and the teachers leading them went through the same kind of learning curve as I did as part of the MERIT ed tech professional development program. 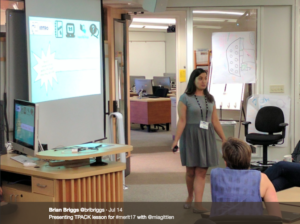 MERIT, which stands for Making Education Relevant and Interactive through Technology, is an intensive summer institute with follow-up throughout the following school year. It provides educators the opportunity to expand their technology and teaching horizons. Participants dig into the latest and greatest in instructional technology with the ultimate goal of realizing a more dynamic vision of education. This program provides comprehensive tech training covering filmmaking, blogging, podcasting, design thinking, preparation for Google Certified Educator Levels 1 and 2, and more. 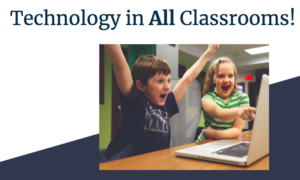 Highlights included learning ways to go beyond making presentations in Google Slides, incorporating digital storytelling including how to use a green screen, and all about Hyperdocs (to create student-centered, inquiry-based instructional activities where students explore online content and use tech tools to create something that showcases their understanding). At the end of the two week long summer session, participants leave not only with lots of experience with different tech tools and well-crafted lesson plans and resources, but also an innovative mindset ready to approach teaching and learning in new and inspired ways. When I began this role (as a teacher on special assignment in instructional technology) just over a year ago, I eagerly applied to MERIT wanting to expand my skill set and build more confidence. Each day of MERIT brought on new challenges and I found myself still self-questioning as I prepared and presented my final project, “Storytelling through StoryCorps” Hyperdoc. Thankfully my confidence was boosted in part because the MERIT middle school group selected my project, as well as a couple others, to present to the whole cohort. Since that experience, I’ve now presented at a number of local workshops and teachers around the Bay Area have used parts of my StoryCorps project. This enhanced my ability to perform a crucial part of my role–leading professional development (PD)! 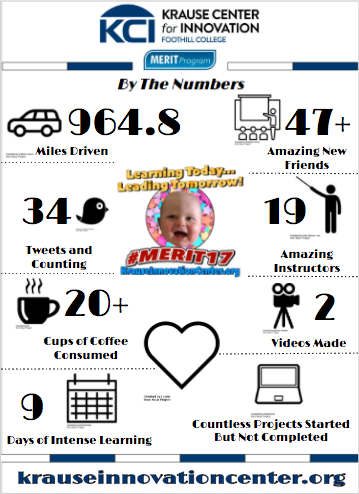 The most valuable part of my MERIT experience has been establishing my professional learning network (PLN) and finding what I’m now describing as my “tribe.” My cohort continues to connect through social media, email, online classes, and local conferences and workshops. We get together around the Bay Area to eat, discuss books, work, and play. A MERIT friend even came from San Carlos to freeze outside while watching the final performance of the Berkeley Rep’s The Temptations musical, Ain’t Too Proud, with me on the big screen at BAMPFA on a Sunday night. Our cohort uplifts and inspires one another. 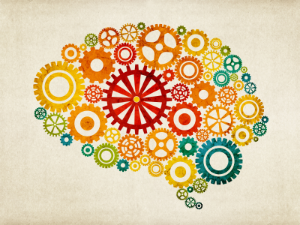 We bounce ideas around, share resources, and continually teach and learn from one another. As a member of the MERIT 2017 cohort, I can definitely say this powerful, transformational experience is well worth the commitment. Interested educators should know from the outset that the program demands a significant amount of time. In addition to the summer program, there’s an orientation in the spring and four follow-up days on Saturdays in the fall and winter. Participants also engage in ongoing PD and continue to learn and share over the course of the year. Also keep in mind that MERIT takes place at the Krause Center for Innovation located at Foothill College in Los Altos. Participants receive a stipend upon completion of the summer institute and the entire program. Check out the MERIT 2018 website for more information and to access the online application (which involves answering a series of open-ended questions and submitting a letter of support from your supervisor). The deadline to apply is January 26th, 2018. Note: As the website states, participants range in age as well as teaching and tech experience. Anyone in any role who is excited about taking technology to the next level is encouraged to apply! Please reach out to me if you have any questions and if you’d like to hear more about MERIT. Happy Holidays from the Technology Teacher Leaders! Have you heard about the elusive Golden Headphones? 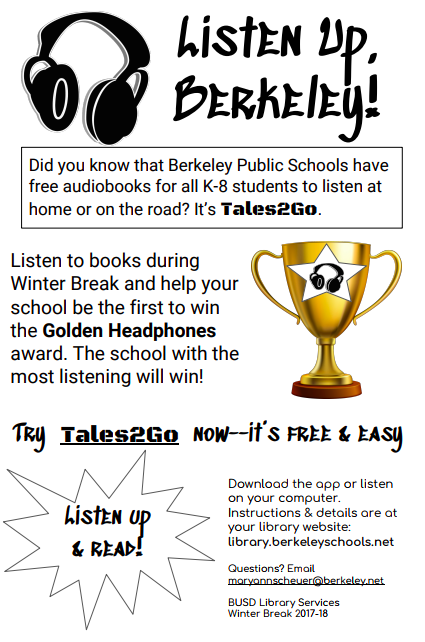 All students are encouraged to listen to audio books over winter break using Tales2Go, a phone app with an extensive library of books. Great times to listen to stories include when your family is cooking dinner, in the car on a long road trip, or for down time on a busy afternoon of holiday preparation. Students at the school which logs the most time listening to stories on Tales2Go will win a set of these fabulously-blinged-out headphones. Instructions for logging into Tales2Go from home are found by clicking here. Have a wonderful 2 week break! A growing number of Berkeley teachers are making use of our district-wide license to Pear Deck, an interactive presentation software. Teachers create slideshows with different kinds of interactive questions (multiple choice, short answer, number, drawing, and draggable) for students to share ideas and interact with the content being taught. Teachers project the presentation and students log into the session using Chromebooks. After attending a session on Pear Deck during the November 3rd Professional Development Day, King Middle’s Equity Teacher Leaders, Jacqui Alvarado and Susie Kossa-Rienzi, shared what they learned with the entire faculty at King. They presented on Pear Deck and used it during their recent equity presentation at a Wednesday afternoon faculty meeting. Susie and Jacqui showcased the different ways that participants can respond by asking questions about the equity work at King. The presentation highlighted how this software can be used in support of the equity teaching strategies–in particular, opt in (giving all students an opportunity to respond) and multiple perspectives (enabling students to share their unique voices and learn from their peers). Victoria Edwards and Christopher Travlos are using Pear Deck in an 8th grade ELA class at King. Since that meeting, more teachers at King are using Pear Deck in their classrooms. 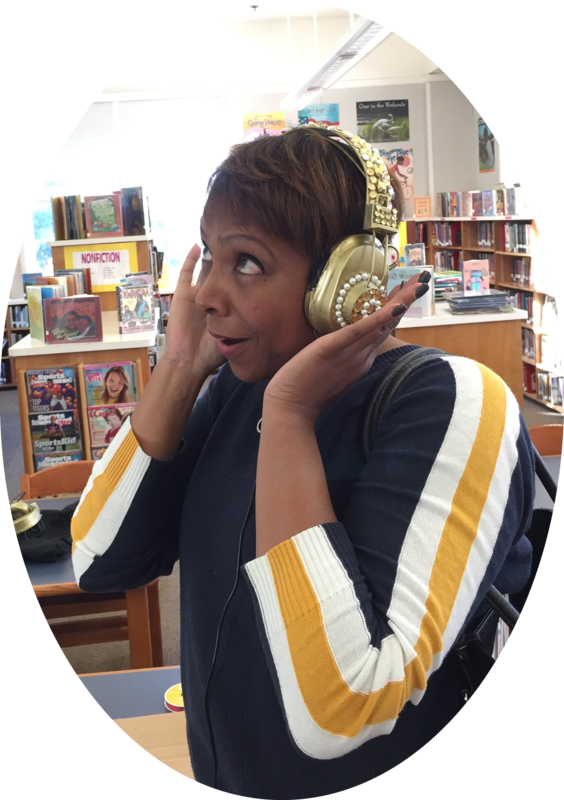 Kathleen Marte, the English Language Development (ELD) Site Coordinator at Thousand Oaks Elementary, decided to try video projects as a way of providing structured practice with oral language in a fun and engaging way. In the past couple of weeks, Kathleen has experimented with Flipgrid (a website where students can record and watch each other’s short video responses to a prompt) with her fifth graders and creating videos using a green screen with her 4th graders. This green screen project was serendipitous. 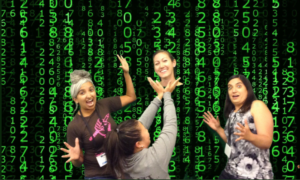 I had been introduced to green screen at MERIT, an ed tech institute I attended this past summer, and had been hoping to have an opportunity to try it with students. As part of the Systematic ELD unit called “How’s the Weather?” Kathleen had shown her students an online weather report video project for inspiration. Fortunately our paths crossed and we enthusiastically carried out this project together. Her 4th grade EL students wrote and rehearsed weather reports about a specific region: the Mojave Desert, the Monterey coast, the Berkeley Hills, and the mountains surrounding Lake Tahoe. I visited her class with my newly assembled green screen kit: an iPad with the Do Ink Green Screen app installed, a tripod for an iPad, and green fabric that I temporarily put up on a classroom wall. When students came to class, they took turns searching for their background image on the internet and saving it to the iPad. Each student then learned how to set up their shot in the Do Ink program, record their presentation, review it, and try a second take. Each student presented confidently, conveying key information about their region’s weather and sharing advice for how to prepare for it. Kathleen collected the videos in Google Drive and shared them with their classroom teachers and families. Our first attempt at recording videos with a green screen was a success! Please see for yourself by watching this awesome sample weather report about Lake Tahoe. Now my green screen kit is assembled and ready for action. 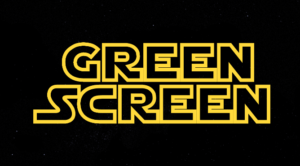 Please reach out to me if you would like to explore how your students could create videos with a green screen. According to the Kaiser Family Foundation, children ages 8-18 now spend 9 hours each day on media and technology. 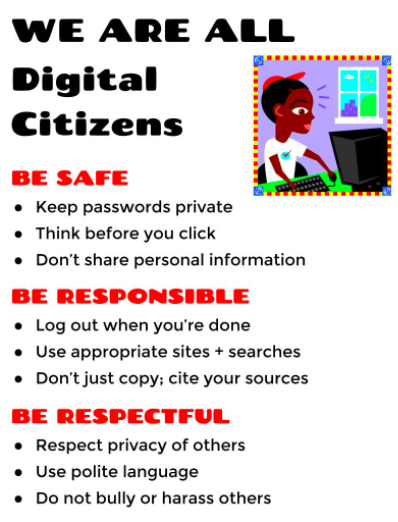 To ensure our students take to heart how to be safe, responsible, and respectful online, we are proactively incorporating digital citizenship curriculum in grades 3-8. In fact, Berkeley Unified has been recognized as a Common Sense Media Digital Citizenship Certified District after nearly every 3rd-5th grade classroom carved out time for at least three digital citizenship lessons last school year–that’s 300 lessons in 96 classrooms for 2,500 students. 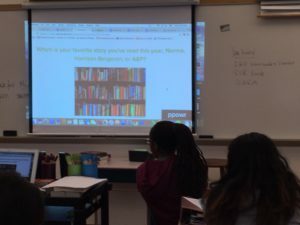 This year all three middle schools are launching a digital citizenship curriculum and Longfellow is leading the way by incorporating lessons into their school-wide expectations teach-in days. 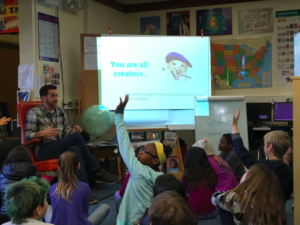 Eric Silverberg, an elementary library services teacher on special assignment and member of our DigiTech Team, is Berkeley’s own digital citizenship leader. He has worked behind-the-scenes on adapting Common Sense Media’s digital citizenship curriculum into easy to use lesson plans and supported implementation of it district-wide. The lesson topics include internet safety, self-image and reputation, digital footprint, cyberbullying, and information literacy. Last week, Eric had the honor of presenting a session on digital citizenship at Fall CUE, an ed tech conference, so that other educators from all over the country could benefit from Berkeley’s experience and expertise. Eric shared that “children need help navigating the online world” and how Berkeley has aligned Common Sense Media’s curriculum with our school-wide expectations: be safe, be responsible, be respectful, and be an ally. Eric also mentioned how digital citizenship is a “whole-community issue” and how schools are partnering with parent groups. Participants in his session were thrilled to learn Berkeley’s model so they can find ways to replicate it in their own communities. Kudos to Eric and all the Berkeley educators making sure our students are smart digital citizens. After leaving the hubbub and buzz of a middle school hallway during passing period, I love walking into classrooms where there are clearly defined routines and there’s a peaceful calm that settles over the class from the moment the bell rings. In Anne Frost’s history class at Longfellow, that soothing calmness is so inviting. Anne has a daily warm up routine which integrates a tech tool, Desmos, with the current topic she’s teaching. When students first enter class, they have exactly 2 minutes to get out the materials they need, take out homework and write down any new assignments. This is done in silence and is followed by an equally quiet trip across the room to pick up their Chromebook. Each morning, students independently do a “card sort” in Desmos, focused on vocabulary and big themes from the previous day’s class. When I visited her class last week they were studying the American Revolution and their card sort included the following questions. For this card sort, students dragged the vocabulary to fill in the blanks for each question. While this type of vocabulary practice could certainly be done on paper, there are some advantages of using a simple technology tool, such as Desmos for students’ responses. Several students remarked to me that doing this on the computer was a lot faster and more fun for them than doing it on paper. 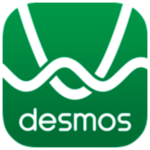 Students excitedly told me that they love using Desmos for their warm ups because it’s so easy to change mistakes if they realize they have matched cards inaccurately. Desmos automatically grades card sorts! Most 7th & 8th grade teachers have well over 100 students. In Desmos, all responses from each class period can be seen on a single screen with student names in red who have errors and in green who don’t. Teachers can see who needs help and give feedback immediately. All of Ms. Frost’s warm ups are reusable for another class period or for next year, already organized for her within Desmos. What was most impressive to watch was HOW MUCH PRODUCTIVE WORK both on and off computers students did during the 10 minute warm up routine. In just 10 minutes, students independently got and signed onto their Chromebooks, completed the Desmos card sort on the American Revolution, opened their Google Classroom to find their notes from a previous day’s class, requested a paper quiz on whatever reading passage they had most recently completed, took that open-notes quiz, using the Google Doc note-taking template which they had previously completed in Google Classroom, and then began a new reading passage. A peaceful, well defined warm-up routine is such a powerful way to start class, and Desmos and Google Classroom are two tools which made Ms. Frost’s routine so effective. You can see her Desmos card sort in action below. 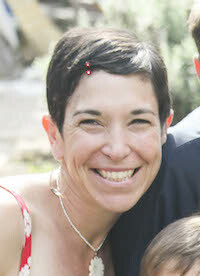 Mia Gittlen is a BUSD K-8 Instructional Technology Teacher on Special Assignment. She has taught English and history/social studies for eleven years. She also actively participates in East Bay CUE and the Krause Center of Innovation--two organizations focused on inspiring innovative learning. Jessica Lee is a BUSD Teacher Librarian on Special Assignment, supporting libraries and instructional technology. Prior to this year, she was the Teacher Librarian at Willard Middle School for 13 years and taught in other districts before that. Eric Silverberg is a BUSD Teacher Librarian on Special Assignment, supporting libraries and instructional technology and Digital Citizenship. He has over 17 years experience working in public schools, as a classroom teacher, an arts coordinator, a drama/music specialist and a digital media teacher. Allison Krasnow is the K-8 Instructional Technology Coordinator for BUSD and has been involved in this work for the past four years. She has taught grades 4-8, most recently as a math teacher at Willard.